After an Accident, Your Journal and Records are Vital to Your Personal Injury Case After being in an accident, your journal and records help to tell your story about being in an accident and what you went through. These are vital to your personal injury case. People hurt in California car crashes caused by another person or entity's negligence may be entitled to compensation for injuries, and other economic and non-economic damages. However, in order to obtain a fair financial recovery in a personal injury case, the accident victim—and their attorney—must prove their claims. To that end, personal injury attorneys often conduct wide-ranging investigations to find out which party is liable, whether there are supporting witnesses and what compensation may be available for their clients. Reviewing photos of the accident scene. Photos taken shortly after the crash can provide key details about the positioning of the vehicles, the extent of the property damage, skid marks on the pavement and any relevant road or weather conditions. Finding and analyzing surveillance footage. Outside businesses and homes, at crosswalks— surveillance cameras are practically everywhere. Finding and reviewing surveillance footage of the accident can provide crucial information about liability. Interviewing eyewitnesses. Personal injury attorneys can track down and, if necessary, subpoena people who witnessed the crash to have them provide statements and possibly testify on their client's behalf. Reconstructing the accident. 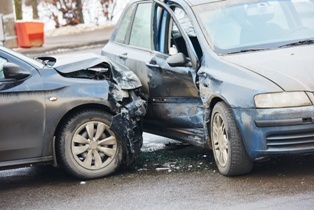 Attorneys can contact expert witnesses, such as accident reconstructions, who can recreate the crash, answering elusive questions about what happened and who's at fault. Monitoring social media posts. Car accident attorneys often review the other party's social media posts, as they often provide valuable evidence about the crash. For example, if the other driver was posting on Facebook at the time of the accident—when he should have been watching the road—that could go a long way toward proving liability. If you were injured in a car crash that wasn't your fault, you may be entitled to compensation for medical expenses, property damages, lost wages, loss of earning capacity, pain and suffering, and more. The experienced personal injury attorneys with the Inland Empire Law Group can thoroughly investigate your case and help you fight for the compensation you need and deserve. Contact us today at (888) 694-3529 or (909) 481-0100 to schedule an appointment for a free, no-obligation initial consultation.